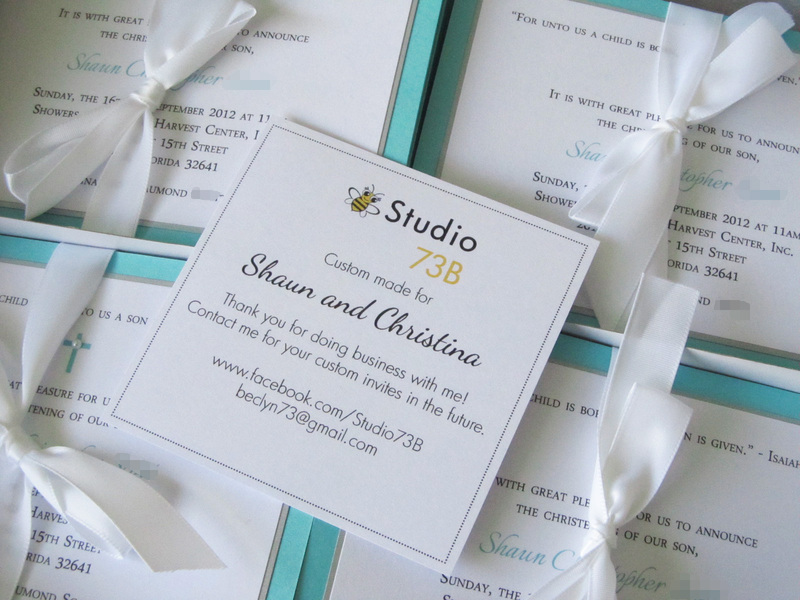 My first set of christening announcements! I had blue and brown in mind, but Baby Shaun's mom wanted to use turquoise, silver and white which kinda threw me for a loop. I had the card stock in the colors, but I was 8 sheets short! I made to my local scrapbook store and bought all that they had, but I was still short. I made a 100+ mile round trip to find the right card stock! I found it at a craft store in Fredericksburg and I was able to complete the order. Another successful order completed! 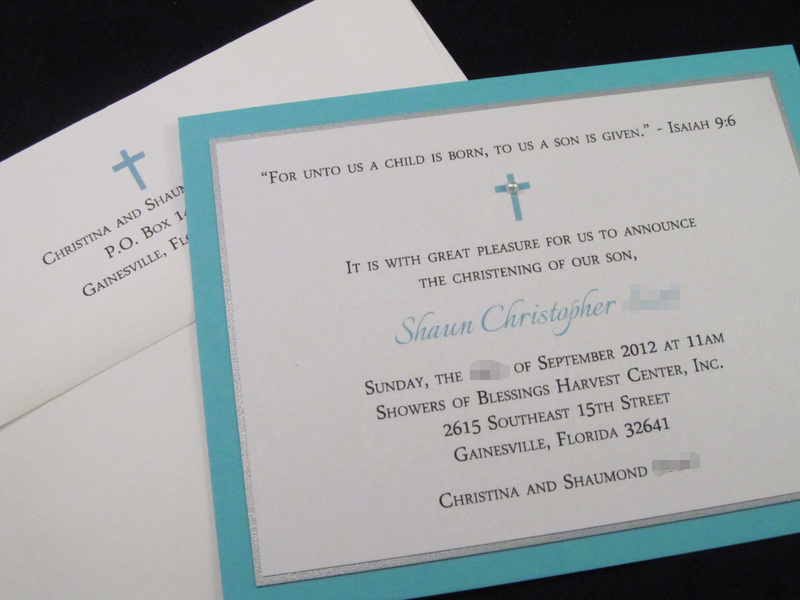 Shaun Christopher's christening announcement with matching envelope. Announcement is embellished with a tiny crucifix and delicate pearl accent. Pretty packaging. It's all in the details!